When will be Miss Marple next episode air date? Is Miss Marple renewed or cancelled? Where to countdown Miss Marple air dates? Is Miss Marple worth watching? Welcome to the Miss Marple guide at TV Rage. 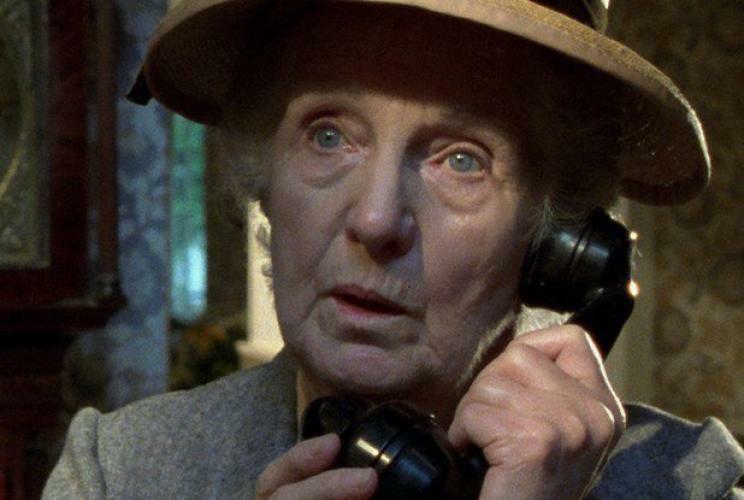 Miss Marple, the spinster detective who is one of the most famous characters created by English crime writer Agatha Christie, is portrayed by Joan Hickson who starred in a dozen television mysteries about Miss Marple over the course of a decade. Between 1984 and 1992 the British Broadcasting Corporation in association with Australia's Seven Network and America's Arts and Entertainments Network, produced an irregular series of twelve Miss Marple mysteries. The elderly, deceptively delicate Joan Hickson starred in each of these as the amateur detective from the bucolic village of St. Mary Mead. Video Clip of Closing Scenes to 'Miss Marple. EpisoDate.com is your TV show guide to Countdown Miss Marple Episode Air Dates and to stay in touch with Miss Marple next episode Air Date and your others favorite TV Shows. Add the shows you like to a "Watchlist" and let the site take it from there.